I'm pretty sure we all have a bottle of brandy in our booze cupboard; it's probably shoved at the back, half empty and a little bit forgotten about. We sometimes use it in cocktails, cook with it, and will, every year without fail, slosh it all over our Christmas pudding, then set it on fire - YES! The thought of just sipping on a glass of the stuff has a bit of an 'older generation' stigma to it, doesn't it? 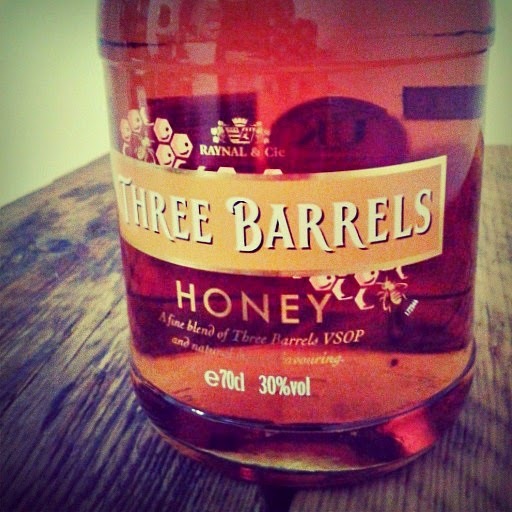 Well, Three Barrels have attempted to change that perception by releasing a new, lower percentage, flavoured version of their classic VSOP; Three Barrels Honey. They've very kindly sent me a bottle to review too. Honey isn't really a new thing in the infused spirits world, all the whiskey big boys have been at it - Jack Daniels, Jim Beam, Red Stag - but we've not seen a great deal in the way of brandy. As a result, we're told to "expect the unexpected" with the mix of Three Barrels and a dash of natural honey flavouring. "Born of the finest eaux-de-vie from the best vineyards, this particular nectar has been graced with a fresh twist." 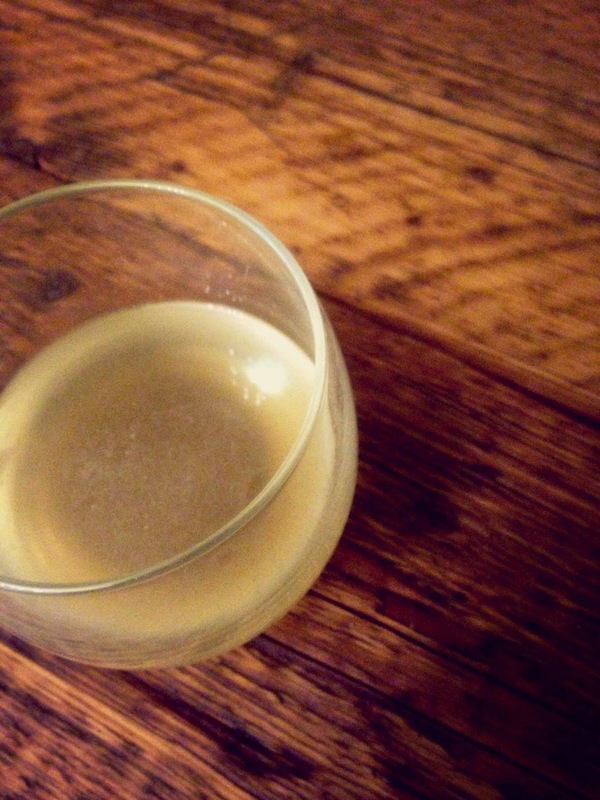 At an alluring 30% ABV, this smooth and mellow tipple really was a surprise. It's not overly honeyed, which is great because it's a powerful flavour, and it doesn't taste artificially sugary in any way, which I was a little hesitant about. Sure, it is sweet, but not sweet enough to be a liqueur, and it's not punchy enough alcohol-wise to be a full blown spirit either. Instead, it happily sits somewhere in between as an easy pleaser. Three Barrels suggest serving it over ice or straight from a chilled bottle; I agree, good choice. Or, if you fancy a longer drink, they say it’s equally enjoyable in a tall glass with ice, topped up with lemonade. I'm not much of a lemonade mixer fan, and if you aren't either, then turning it into more of a Collins style drink, with lemon and soda, would be much better suited. 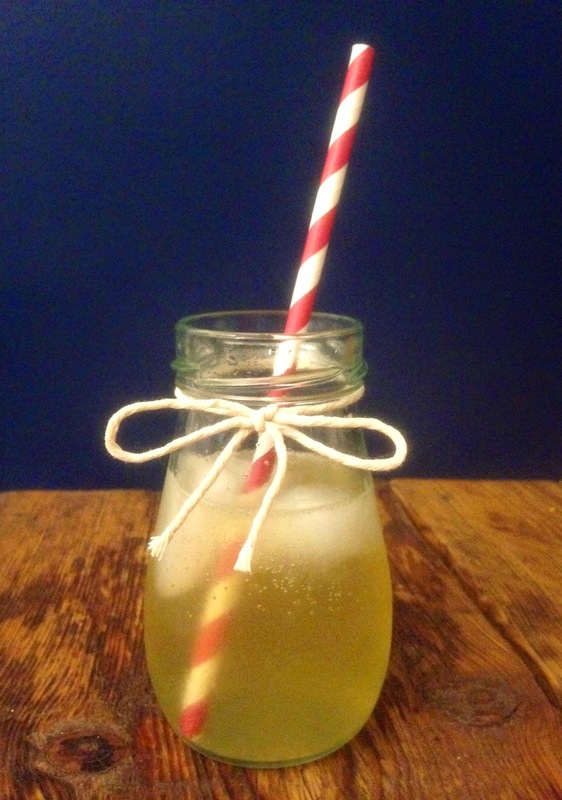 There are plenty of Honey Brandy cocktail recipes on the Three Barrels website, but I thought I'd go off piste and concoct something myself (and give it a ridiculous name) - fancy a Rumble Bee with rum and King's Ginger Liqueur? Or, though I've not tried it, I'm pretty certain a good glug would be gorgeous in some festive mulled cider. A 70cl bottle of Three Barrels Honey Brandy is available in all the big supermarkets, but is best value at Asda, which currently has it for £12.00. Done deal. So now that it's cold and dark so early in the evening, go and console yourself with a glass of brandy; it's an ideal winter warmer if you're not a fan of the hard stuff, and versatile too! But bee warned, it glides down way too easily. Pour all ingredients into a tall glass, except soda. Fill with soda and stir gently. Top with ice if required and garnish.